Providing you the best range of lady statue, garden sculpture, marble cow statue, marble roman sculptures, marble modern art and horse bust with effective & timely delivery. We are enlisted as the prominent manufacturer, exporter, wholesaler, trader, retailer and supplier of Lady Statue. Our lady statue is praised in the market due to its best finishing & attractive designs. 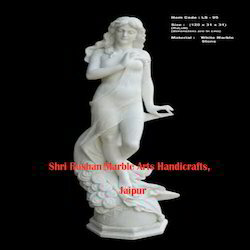 This lady statue is crafted by utilizing utmost quality stone by our experienced craftsmen. Offered lady statue is comes in different designs, sizes and other customized options so as to meet the demand of customers. 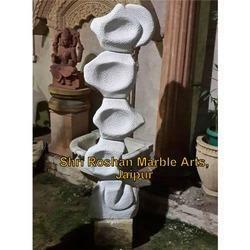 Shri Roshan Marble Arts & Handicrafts deals in variety of Garden Sculptures & is well known for its artistic carving work throughout India. This Garden sculpture Highly beautiful work carved with single marble piece. Best suitable for home decor purpose or garden decor. Packaging Details: wooden box fully safe with foam inside. We have been in business of providing Marble Cow Statue some unique stone art to our unique customers worldwide. With some lavishing products and expertise in the manufacturing field we have emerged as global leaders in this industry. The marble cow statue depicts the art and shows the quality of work provided by us. Superbly carved from single white marble, this marble cow statue has become the masterpiece in its own. Best qulaity marble used from some renowned names in this field.With some lavishing products and expertise in the manufacturing field we have emerged as global leaders in this industry. White Marble Roman Sculptures has always been a point of attraction of the art lovers and our company is well known worldwide in offering the best quality marble roman sculptures drafted by some great artists an craftsmen of all time. 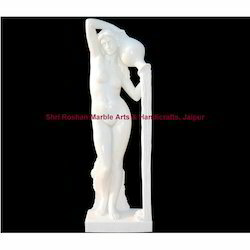 These marble roman sculptures comes in variety of shapes and sizes with total customer customization solution. This Marble Roman sculptures is carved to perfection wit the best brand raw materials used in manufacturing of this. With some best craftsmen and artisans and the quality we have emerged as a global leader in this category with the most valuable client age from different part of the world. Packaging Details: Full wooden box with complete chamically generated foam. 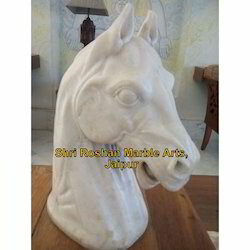 Beautiful Horse Bust carved from pure makrana marble. Designed by expert hands with over 35 years experience. This beautiful Marble fish Sculpture is simply a masterpiece of art & reflects its presence. Beautifully finished by the skilled hands of our labor with more than 35 years experience. Best for the purpose of Home decor or garden use. 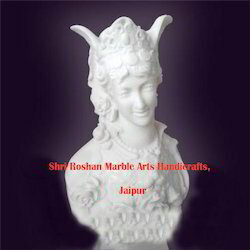 Shri Roshan Marble Arts & Handicrafts deals in a variety of Decorative Statue & indoor sculptures & is well known for its artistic carving work throughout India. Talking of this beautiful Decorative Statue is worth talking of our craft, a master piece of art created by our skilled labor.Highly beautiful work carved with single marble piece.This Decorative Statue is Best suitable for home decor purpose or garden decor. 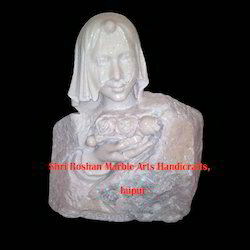 Shri Roshan Marble Arts & Handicrafts deals in variety of Decorative Figurative sculptures & indoor sculptures & is well known for its artistic carving work throughout India. Talking of this beautiful Decorative Figurative Sculptures is worth talking of our craft, a master piece of art created by our skilled labour.Highly beautiful work carved with single marble piece.This Figurative sculptures is Best suitable for home decor purpose or garden decor. In a business of manufacturing some beautiful garden sculptures, this Garden Angel has also qued into it. Made form single white marble & finished with a beautiful shine, this Garden angel is not less than a real beauty designed by some perect artists. 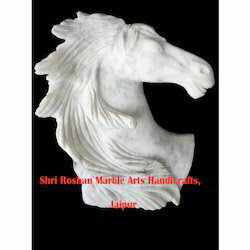 Shri Roshan Marble Arts & Handicrafts deals in variety of Marble Sculpture & indoor sculptures & is well known for its artistic carving work throughout India. Talking of this beautiful Marble Sculpture is worth talking of our craft, a master piece of art created by our skilled labour. Highly beautiful marble sculpture work carved with single marble piece. 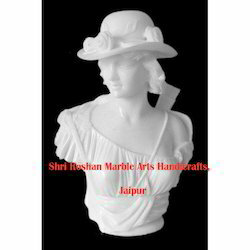 This Marble Sculpture is Best suitable for home decor purpose or garden decor. 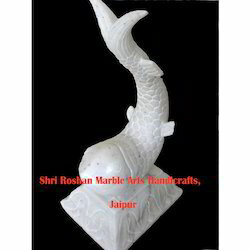 Shri Roshan Marble Arts & Handicrafts deals in variety of Garden Sculptures, indoor sculptures or marble sculptures & is well known for its artistic carving work throughout India. Highly beautiful work carved with single marble piece. Best suitable for home decor purpose or garden decor. Transforming a simple stone into an artistic Lion Sculpture figure is the biggest challenge for a human being. Taking this challenge as our profession we masters in this category. 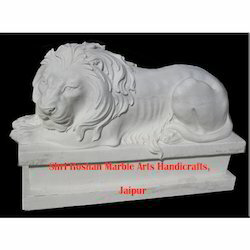 This Carved Marble Lion Sculpture reflects the same quality of ours. Give a chance to provide our services & you will be with us forever..!! This Lion Sculpture is carved from a single marble with some superb Indian art on it. Assisted by our highly skilled workers, we are engaged in offering an exclusive collection of Marble Lady Sculpture for both interiors and exteriors. These intricately carved statues & sculptures are manufactured using top quality marble, which is sourced from the reliable vendors. Owing to their attractive shapes and patterns, these marble lady sculptures help in adding extra elegance and aesthetic dimension to the diverse interiors. Looking for Marble Sculptures ?